The last time that I went to the circus was when the cellist was about four years old. I was sad when I went because the last time before THAT was with my sister. Good times. 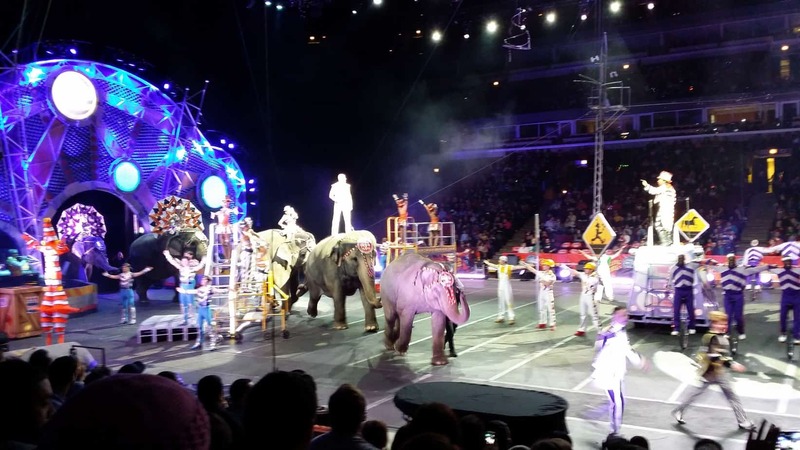 Anyhoo, Ringling Brothers, Barnum & Bailey Circus is a bit of a tradition for the city of Chicago. 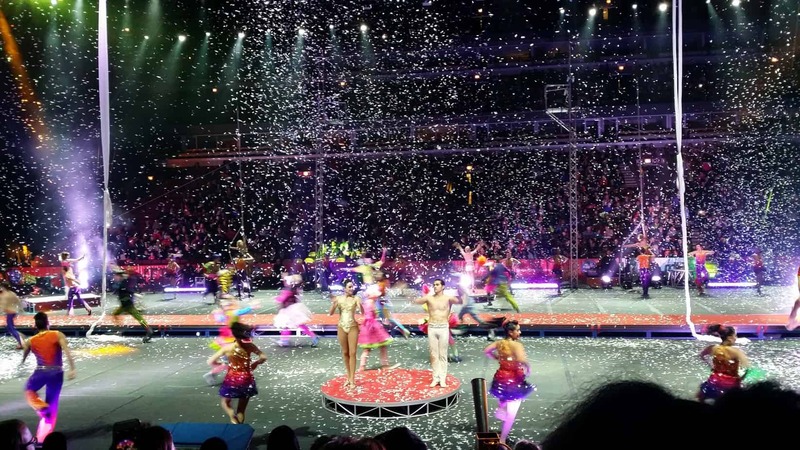 The United Center closes down to Chicago Bulls fans for the week before and during Thanksgiving and children and adults are amazed by all of the animals, clowns, and acrobatics that take place under the now concrete big top. This year’s theme was Built to Amaze and featured several acts of various building themes for the two and a half hour show. We were pretty entertained by the Ringmaster’s sidekicks – Alex & Irina who were touted as the project managers of the circus. Irina’s energy was contagious and she kept Mr. Houseful and me entertained anytime she came out. Did I mention she can dance as well?! 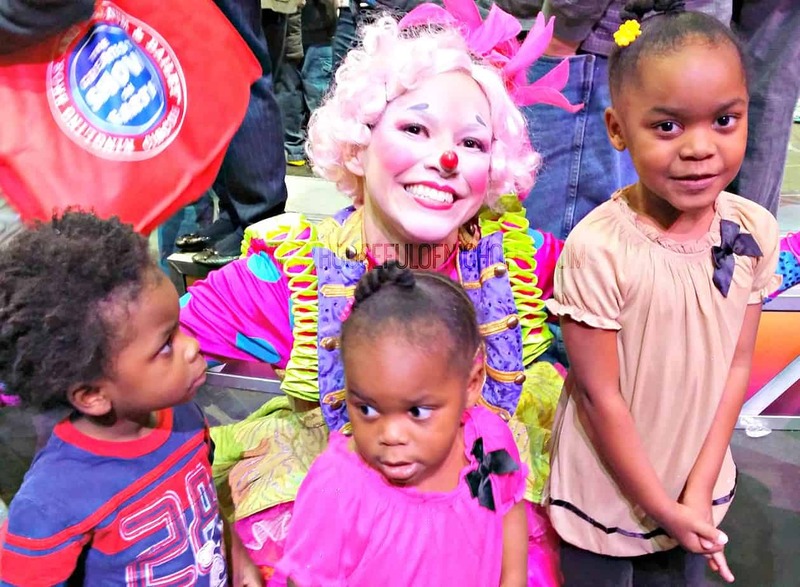 Beforehand the kids had a chance to chill out on the circus floor with some of the performers. I *may* have hula hooped for a bit. 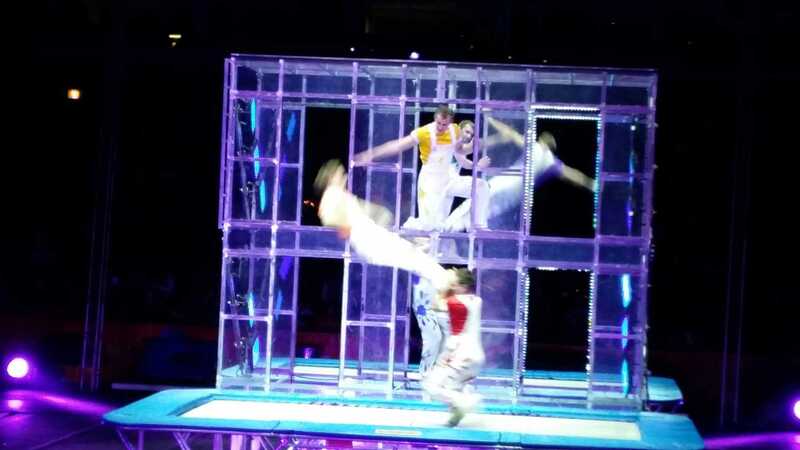 The Circus is in town until December 1, 2013, so you should go ahead and get your tickets while you can. It is more musical and comedy show than a showcase of animals and death defying feats (as I remember) and I think a little bit more child friendly than it used to be. Especially in this day and age where EVERY show that they watch has songs and dances in them. 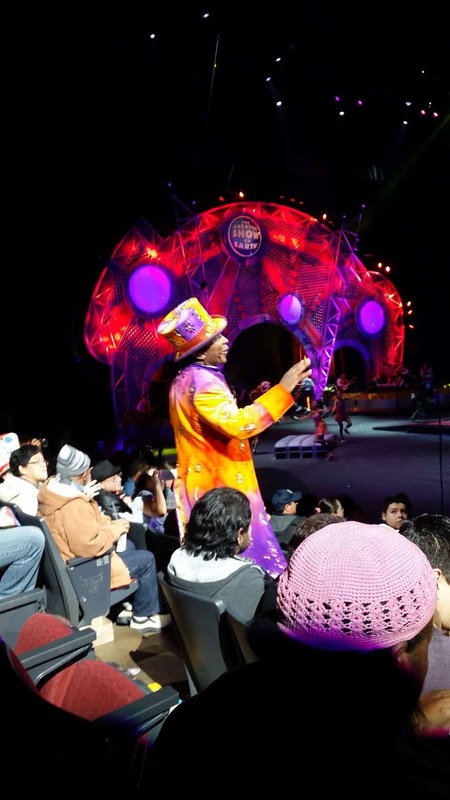 The ladybug and Lil Miss were enthralled from the time that the circus started until the end. The cellist even had a blast, although he did admit to wanting the motorcycles in the cages to come back – I’m not sure HOW he remembered something from nine years ago, but he did. Sir Twizzler waxed poetic about cotton candy for a good half an hour before settling down when the elephants came out to greet us. 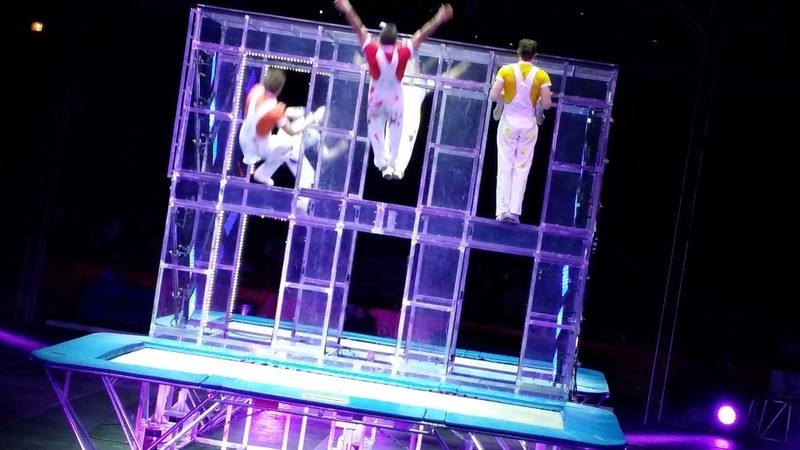 I loved all of the costume changes and the bright lights, and the feats of the high wire walkers and the particular person who jumped rope on the Steel Vortex. 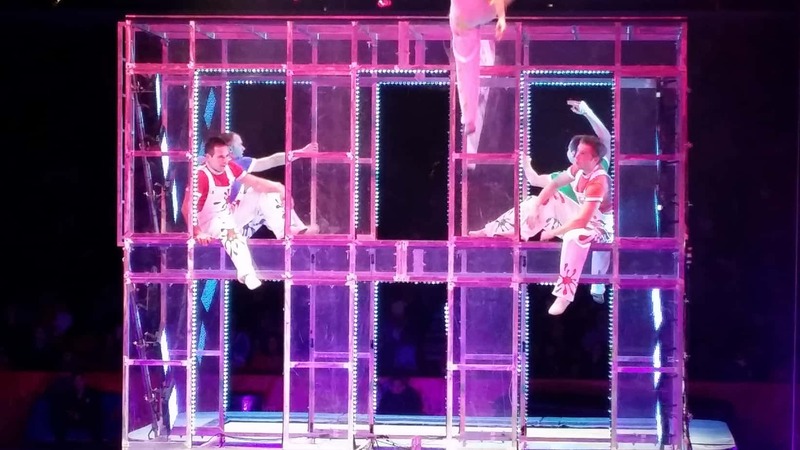 However,one of my most favorite acts were the Trampoline Tower Tumblers. There entire act embodied so much playfulness it was hard not to enjoy it. 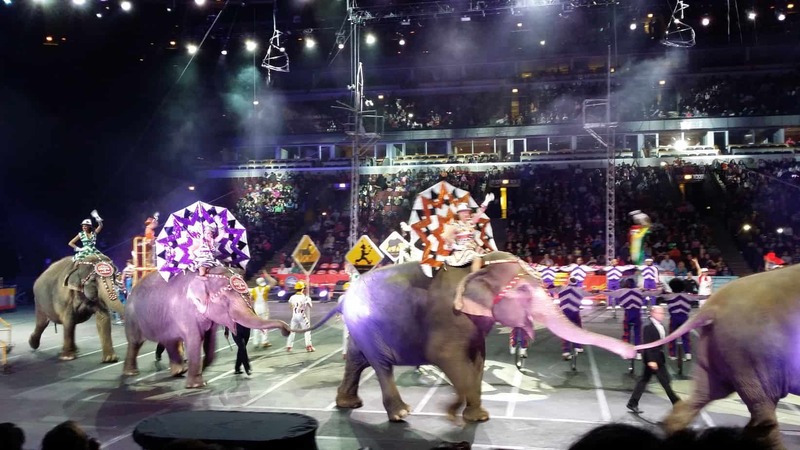 When was the last time you’ve been to the circus? What’s your favorite act? Comment below to share! Disclosure: I received complimentary tickets for me and my family to attend in exchange for an honest review. And as always, opinions are fully mine.